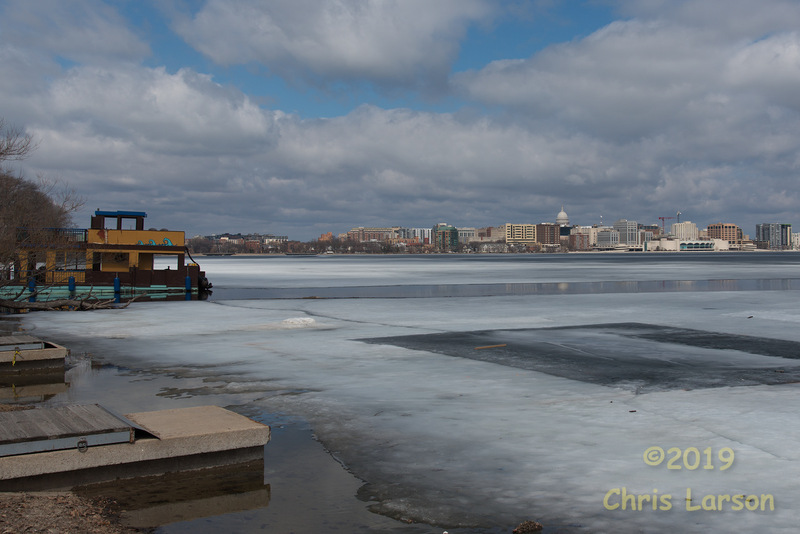 Early spring at the lakeshore featuring...thin ice. I've been bringing the Nikon D750 with me as I drive around for work lately. This is from the park and boat launch where I stopped to eat lunch that day. I believe they must have done a "polar plunge" event at the launch a month or so ago, you can clearly see the square hole cut in the ice that did not quite refreeze the same later. I'll admit the color photos are bland looking. 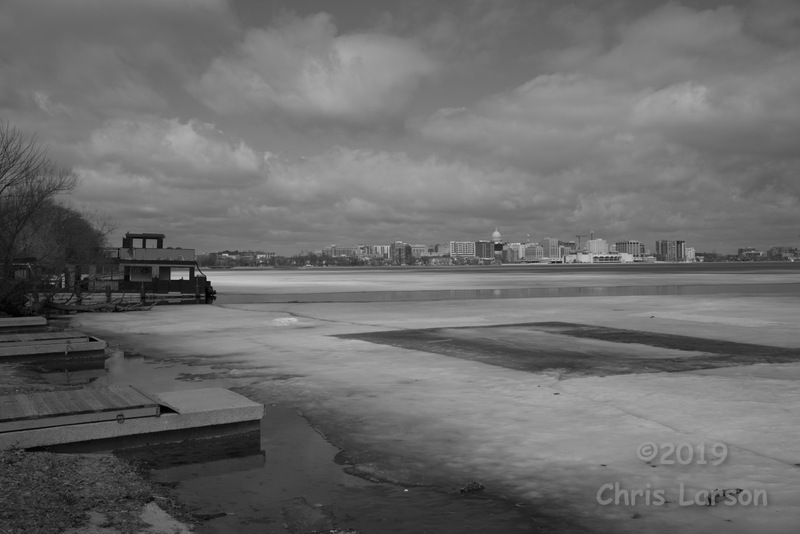 But I like what I got when converting to B/W. All photos: Nikon D750, Nikkor 24-120 f/4 VR, ISO 100, A-Priority. 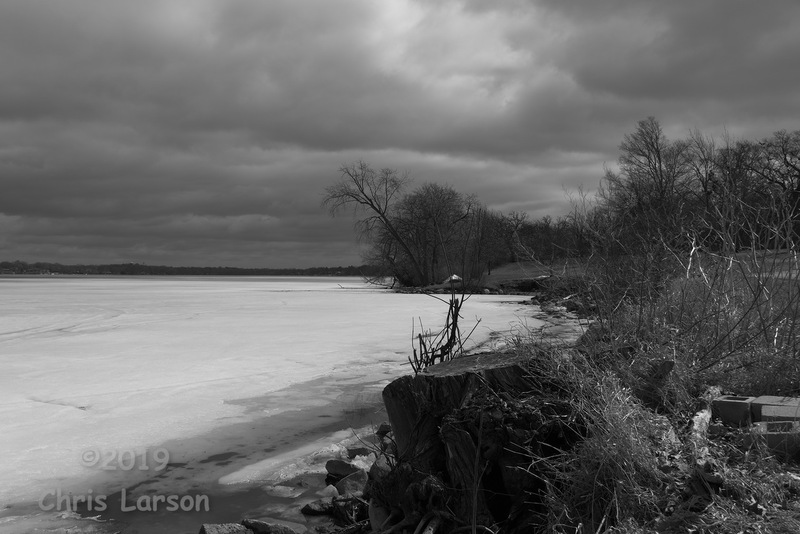 To me, the B/W photos seem to draw the eye to the low cloud cover and the ice on the lake. 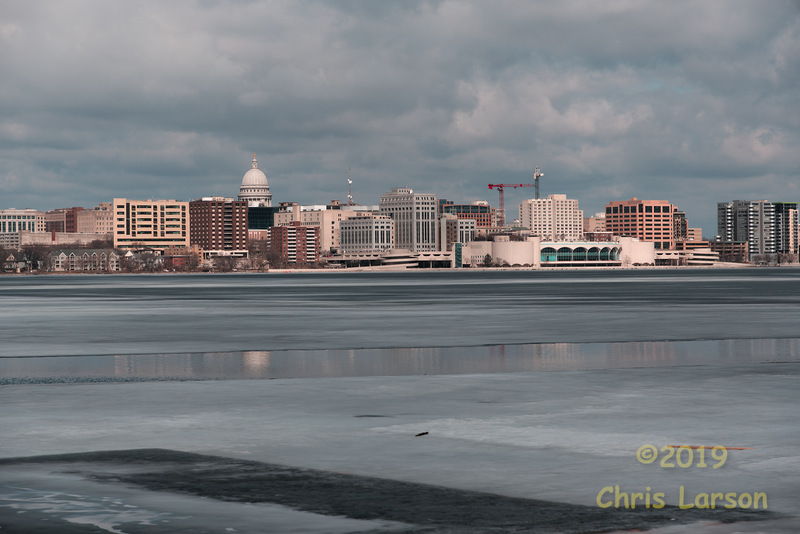 Color images, you try to look more in the center at downtown Madison.